Made from robust welded steel, for greater security and stability. Suitable for general storage use with up to 60kg shelf capacity. Wipe-clean finish with a tough, protective coating. Fitted cylinder lock is supplied with 2 keys. Concealed hinges for a clean line appearance. 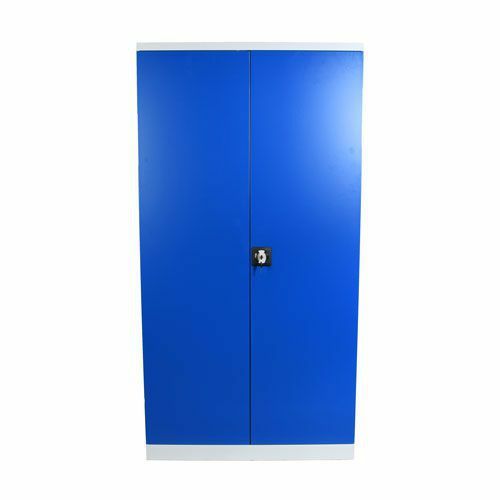 Strong steel cupboards in a range of sizes, ideal for use in industrial or office environments. Durable, heavy duty storage cupboards.